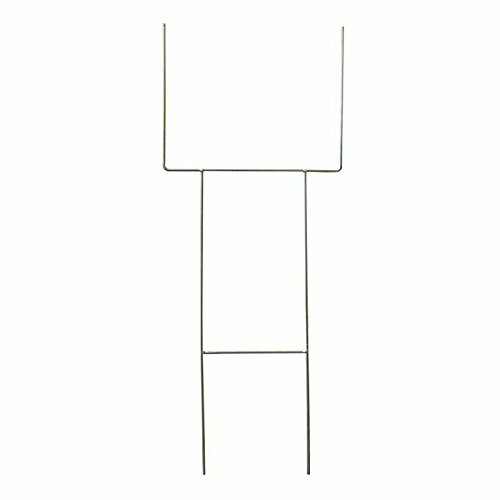 H wire stakes are used to place your yard or lawn signs in the ground. With ridges or corrugations in the sign you can insert the H-Stake into and push into the ground. 9 Gauge Steel Rod Heavy Duty "H" Sign Holder in Garden and Outdoor . Hot dip galvanized wires for long lasting life. Most economical ways to put up signs. Usually used as ladder type sign stakes,step stakes,sign holders,works well with plastic signs for real estate, open house,realtors, rafts, rent and businesses,Political Campaigns, also used on corrugated plastics white sign blank.